Audioboom / Episode 57: Algae, Skincare, Nutrition, and more with @TheBeautySaint! Episode 57: Algae, Skincare, Nutrition, and more with @TheBeautySaint! 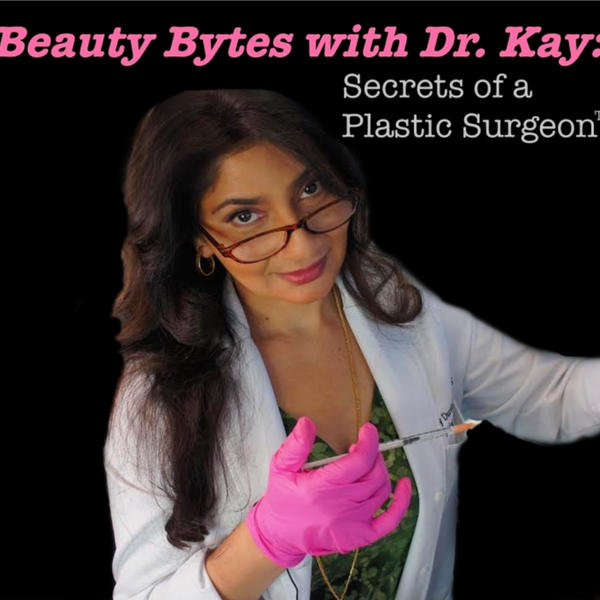 On this week's episode of Beauty Bytes with Dr. Kay: Secrets of a Plastic Surgeon, I'm joined by my aesthetician Carissa, Josh, and Talar from my fabulous team! Carissa is using my 24K Glow Mask on me while we podcast and I absolutely love the way it feels! We talk all about DIY face masks, the benefits of algae, and the way diet can affect your skin's health. Carissa recently joined my team and is the skincare encyclopedia I never knew I needed! In the middle of the episode, we dish on some of our favorite skincare items and tricks to stay glowy all year long! Keep listening to find out what should be avoided if you are experiencing hormonal breakouts. Nutrition plays a huge part in how your skin looks and a good diet always compliments a fabulous skincare routine! If you haven't tried my skincare line yet, I encourage you to check out the KD Skincare Brighten & Tighten Vitamin C Serum. We talk about some of the amazing benefits that this serum has and you'll find out exactly why it's one of my best selling products! Don’t forget to e-mail a screenshot of your podcast review with mailing address to info@beautybydrkay.com for a special treat in the mail! Find Carissa on Instagram here! Find Carissa's blog, The Beauty Saint here! Shop my fabulous skincare line here! Five Minute Friday: 5 Ways Exfoliation Will Change Your Life!